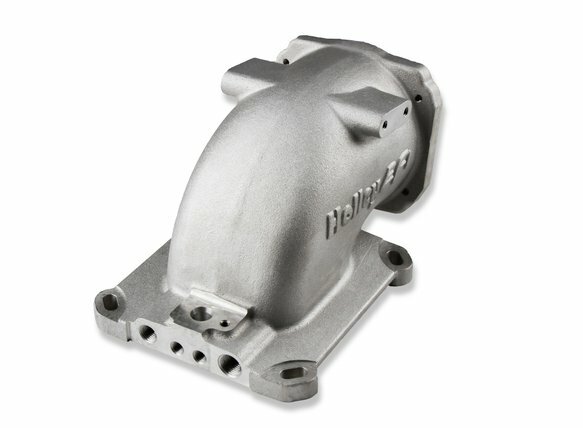 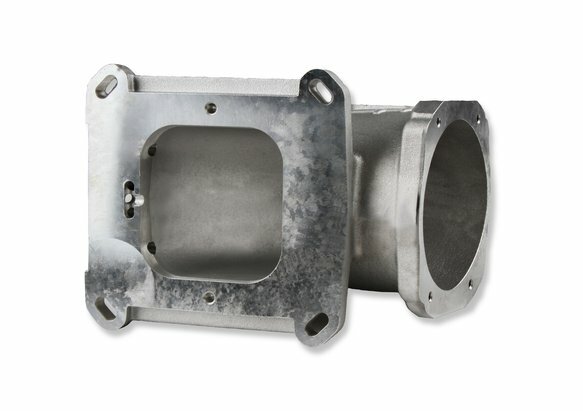 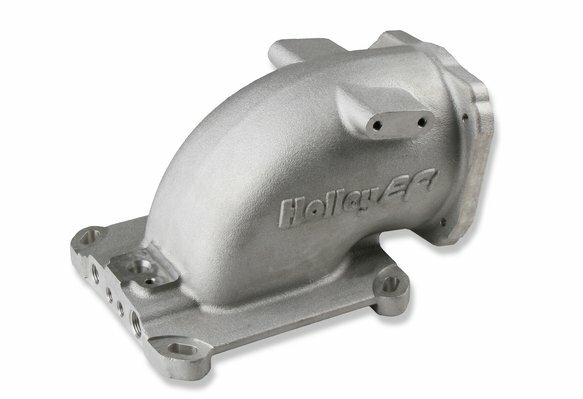 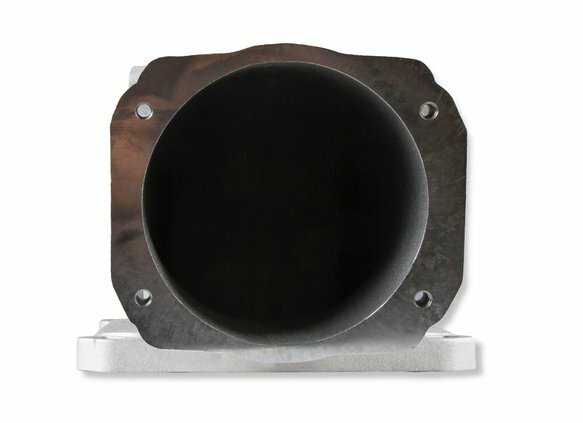 This cast EFI intake elbow allows the use of GM LS throttle bodies on any intake manifold w/ the 4150 mounting flange. 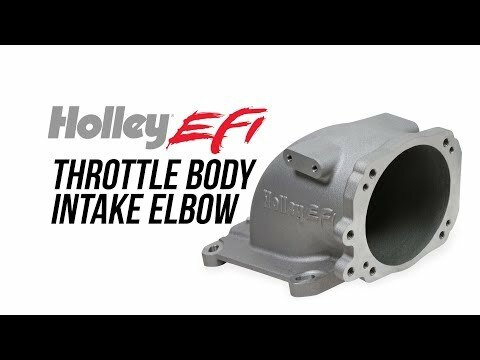 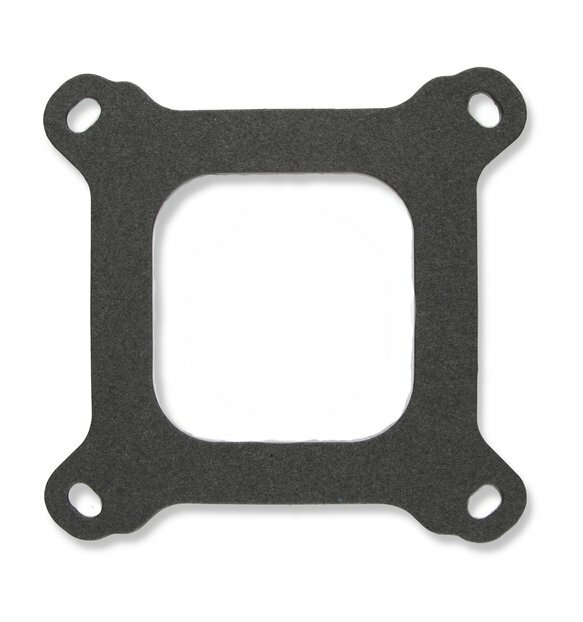 Slotted mounting holes & dual throttle cable mounting bracket bosses allow the elbow & throttle body to be mounted forward, sideways, or rearward. 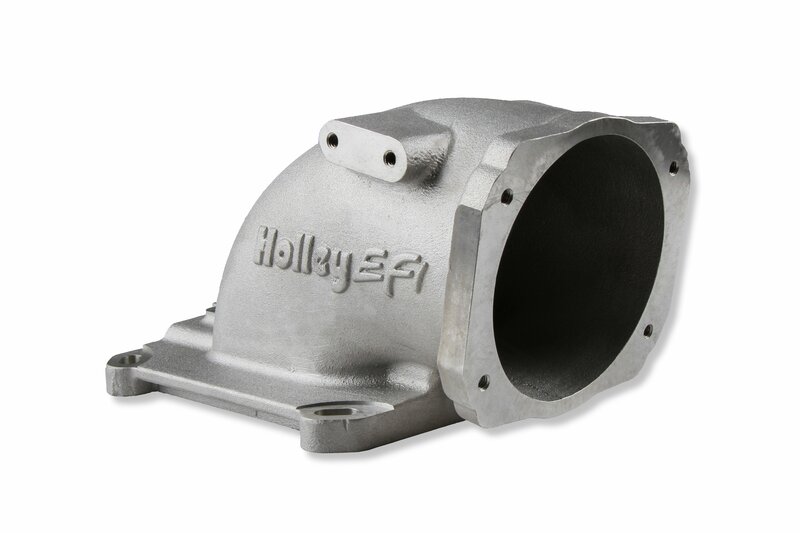 Features (4) vacuum ports, MAP sensor port, machined / port matched to 4150 gasket, and 100° throttle body angle for extra hood clearance. 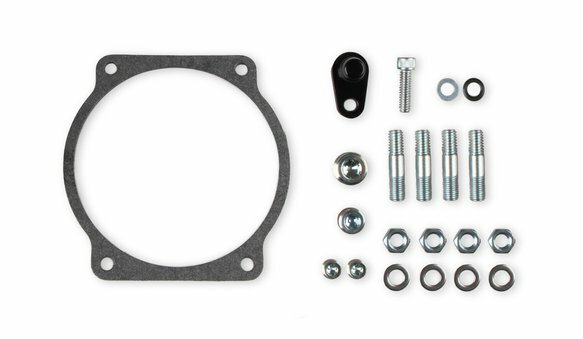 Includes MAP sensor port cover, gaskets & hardware.